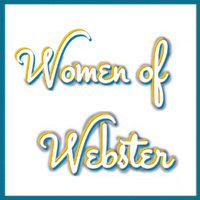 Women of Webster was created by MCISA in 2014 as a way to honor and celebrate women in the Webster community who’ve made outstanding contributions to students. faculty and staff. Previous nominees have been student leaders who have engaged in policy advocacy, community leaders and change-makers, staff members who have fostered close personal relationships with the student community, and faculty/professorial staff who excel in their field. Nominations may be submitted until Oct. 24 by anyone in the Webster network. The recipients will be revealed leading up to the ceremony on Monday, March 27, 2017 in Sunnen Lounge. For more information or questions about this program, please contact MCISA coordinator Corey Hawkins (coreyhawkins90@webster.edu or 314-246-7596).